The Online Learning Module gives you the ability to offer educational courses to your membership that can be completed at the member’s convenience. Each course is composed of slides, videos, and tests. The slides and videos constitute the content of each course. 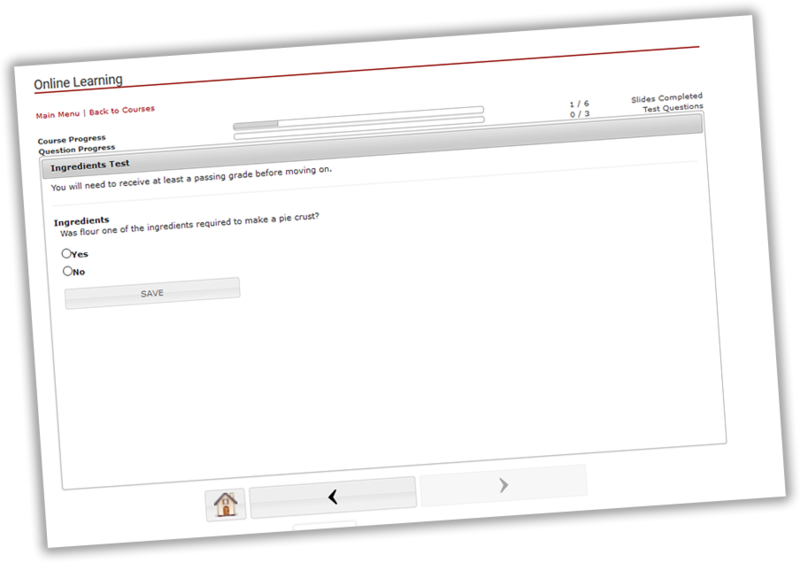 Multiple tests can be embedded in the middle and at the end of a given course- this allows for smaller quizzes within a longer course to verify that the student has grasped the material in a given portion of the course, as well as a larger test at the end to confirm they have gained educational objectives from the course as a whole. Students proceed through the course with forward and back buttons. Students can leave and come back, picking up where they left off in the course. The module is flexible enough to create any number of different types of courses for different subjects. Results from the tests are available immediately. Passing percentage on tests can be set per course. Course access can be monetized, with differing prices for members versus non-members. Courses can be limited to indivduals in specific member plans, or can even be invitation-only. For associations that conduct classes for continuing education requirements, providing the convenience of online CEC courses, is a tremendous value to members. The online learning system includes certification tracking. If a person completes the necessary courses they are awarded a certificate. Certifications can have expiration dates, such that after expiration, the member will have to re-certify. A reminder email to re-certify can be sent automatically. Custom certificate documents and member card documents are produced for members within this module. Certification can also be achieved outside of the module, and entered by an admin user for a given member.